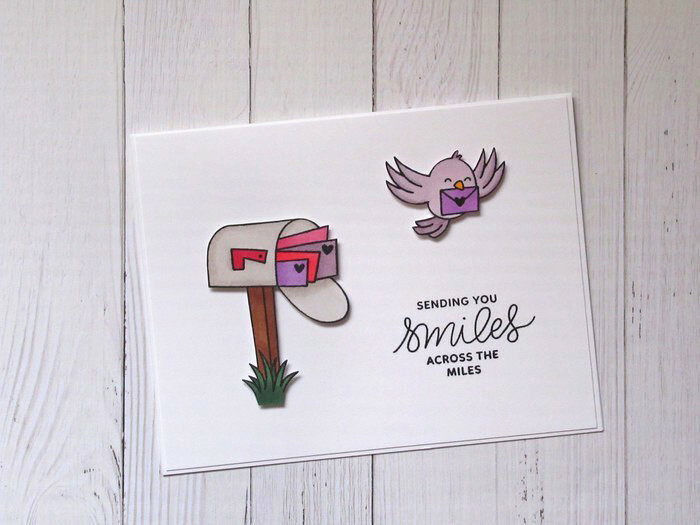 Simple friendship card featuring the sentiment 'Sending You Smiles Across The Miles' on front and blank on the inside. 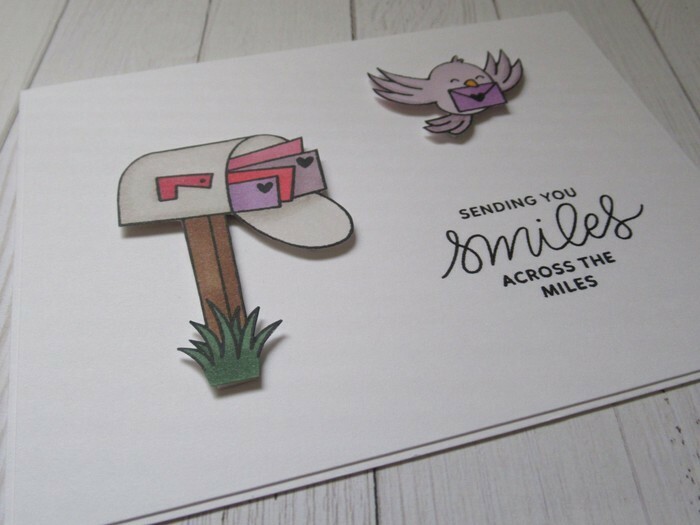 Flat background with raised letterbox and delivery bird. Comes with a white envelope. 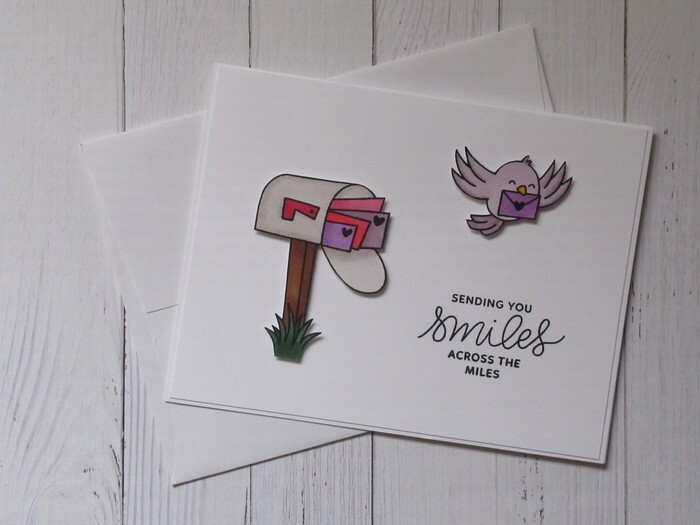 Size : 5 1/2" x 4 1/4"
All of my cards here at 'The Wild & Lovely' are made by hand from scratch. They are all stamped, coloured, cut and attached by hand and all the bases are cut and scored by hand as well.